The E25/26 is multi-purpose double-ended eye brush from our Pro Deluxe Series. Handmade from extra soft, high quality, easy to clean natural fibres. 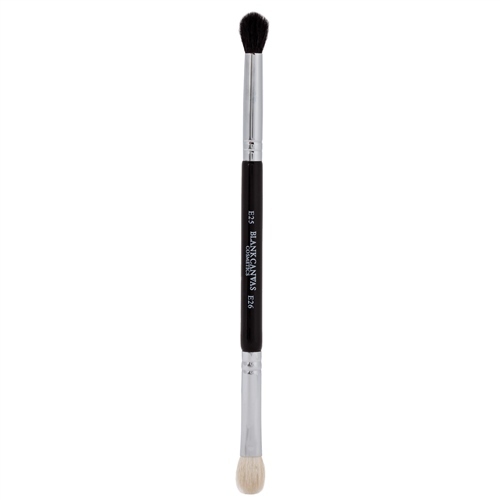 The E25/26 is a double-ended brush that is essential to any makeup kit. The E25's side has been created with precise application and seamless blending of shadows and concealers in mind and can be used with creams or powders. The E26 is perfect for applying and blending shadows along the lid and outer corners of the eye and can be used with creams or powders.